March was a great reading month for me and an exciting month for other reasons as well. 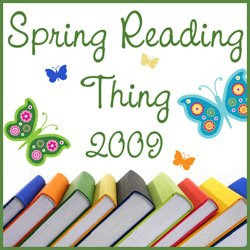 We sold our home in 2008 and bought a condo in 2009 (we are moving in the end of April – we love it and I’ll have my own reading loft full of book shelves, a comfy chair, good reading lamp and of course my laptop). I decided to pack up all my books except for my review books (that will force me to read more of those hopefully). I also have about (5) library books to read in the next few weeks. I hate moving, but this will be our last move most likely and now we’ll be much closer to family which is great. Back to my March reading…..I LOVED most of the (19) books that I read in March. I visited many wonderful new places and a few familiar places too. I visited India, Hong Kong, Berlin, Poland, England, Japan, Korea, and Nigeria. I also saw some more of the United States: New Hampshire, Washington, Mississippi, Colorado, New York, Honolulu, and Pennsylvania. How did you enjoy your month? Tuesday Teasers is hosted by Should Be Reading. p. 157....."Her heart full of misgivings, Ellie eyed the road stretched out in front of them. She imagined it looks like her future---dark and endless and lined with ominous, threatening rain clouds". This book is terrific; the writing is so beautiful. It will be released on April 14, 2009. Watch for my review in a few days. What is your Tuesday Teaser? 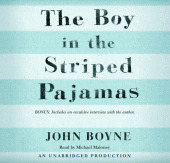 .....Audio book description "The story of The Boy in the Striped Pajamas is very difficult to describe. Usually we give some information about the audio book, but in this case we think that would spoil the listening. We think it's important that you start to listen without knowing what it is about. If you do start to listen, you will go on a journey with a nine-year-old boy named Bruno. (Though this isn't a story for nine-year-olds.) And sooner or later, you will arrive with Bruno at the fence. Fences like this exist all over the world. We hope that you never have to encounter such a fence." Classified as a book for Young Adults, the story is told through the eyes of 9-year old, Bruno who returns home from school one day, and is told that his whole family (mother, father, sister) are moving far away because of his father's job promotion. He must leave his huge house in the heart of Berlin, and move to a place called "Out With" (Auschwitz), a place in Poland. Bruno is a lonely, and a pretty naive young boy. He is very unhappy in "Out With" as he must leave all his old friends behind. One day from his window, Bruno notices a tall fence running farther than his eyes can see. There seem to be lots of people gathered beyond the fence, and Bruno is curious about what he sees in the distance. Since Bruno has always wanted to be an explorer, he wants to learn more about the area around him, and hopes to meet some friends as well. One day he meets a boy the same age as himself, who even has the same birth date as Bruno. The boy is named Schmuel, and he is very thin, his skin is gray in color and his eyes are set deeply. He realizes that the boy is hungry too. The two boys meet for one year along the fence to talk; Bruno even brings the boy food from time to time. He asks why the boy gets to wear his "striped pajamas every day"? The boy tells him that everyone dresses the same. Each day, the two children meet and talk, and each day Bruno learns a little more about his new friend and the people he lives with. Bruno's innocence about what is going on around him seems very unbelievable, but what this innocence does is make the conclusion of this book all the more shocking. This is one story I will never forget. I look forward to seeing the movie based on this book as well, even though the topic: Nazi Germany and the Holocaust is a tough topic to read about or view. 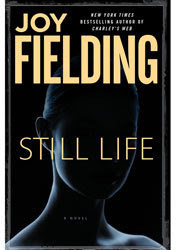 Still Life: A Novel , by Joy Fielding was my Waiting on Wednesday pick for 2/4/09, and as luck would have it, I was first on the reserves list at our library to get this book. A quick page turner and fun read. Casey Marshall seems to have the perfect life: she is beautiful, wealthy, has great supportive friends, a handsome adoring husband, and a successful design business. She is so happy with her life that she thinks it may even be time to start a family. One day after having lunch with her friends in Philadelphia, she is walking to her car in the parking garage, when a car slams into her at almost fifty miles an hour. She lies in a coma with numerous broken bones, but then a strange thing happens. Casey realizes that although she cannot move or speak, she can hear everything that is being said around her. As visitors appear at her bedside, she begins to realize that maybe her injuries were not an accident at all, but that someone was trying to kill her. But who: a friend, her sister, her husband, her health care providers, and why? I enjoyed this book even though it was somewhat predictable. It was just the type of story I needed after a few more serious reads. 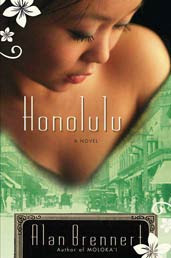 Honolulu is a story about a young Korean girl born in 1897. Her parents were so disappointed she was not a boy, that they named her: "Regrettable”; eventually her name was shortened to simply "Regret". Her name alone gives the reader a glimpse into how females were viewed in turn-of-the (20th) century Korea. As Regret grows up, she realizes that if she stays in Korea, her fate has pretty much been decided. More likely than not, she would have an arranged marriage, and be little more than a servant to her mother-in-law, just like her mother. When Regret tells her father she already knows how to read a bit (having learned behind his back), and that she wishes to continue her education her father will hear nothing of the kind. When her close friend Sunny tells her about someone who finds picture brides for men in Hawaii to marry, Regret decides that this just may be her ticket out of Korea to a better life in Hawaii. Regret's father is only to happy to release his insolent daughter, so he agrees to take money from a man named Mr. Noh, and ships her off to Honolulu for the two to marry. After more than a week at sea the picture brides land in Honolulu. They are quarantined, in case they brought any diseases with them from Korea. When they are medically cleared the girls meet their husbands, get married and before long they learn that these men were not "as advertised". Regret's husband is not wealthy by merely a plantation worker who likes to drink and gamble. Almost immediately he begins to abuse his new wife, Regret. Mr. Noh beats Regret so badly that she loses her unborn child. Very quickly she decides this life is not for her and she leaves her husband, seeking refuge under the roof of a prostitute. She soon begins earning money as a seamstress. She changes her name from Regret to Jin and she eventually meets a good man, and divorces Mr. Noh. Spanning some 40 years, Jin never forgets the people she left behind in Korea. She returns one last time to her roots to make peace with the life she left behind many years earlier. Honolulu was very compelling and extremely well researched. I especially enjoyed learning more about Hawaii (Honolulu) in its early years through the eyes of a picture bride. Alan Brennert has been added to my list of favorite authors. His earlier book Molokai was a favorite read of mine in 2008. The Hawley family is "Discontent". Ethan Hawley is working as a grocery clerk in the store he previously owned. The store now belongs to Marullo, an Italian immigrant who tries to teach Ethan what makes a successful businessman. Even Mr. Baker, the banker, has advice for Ethan: he tries to teach him how to be a good investor. It seems that everyone has an opinion on how Ethan Hawley can bring respect back to his family name. His wife is restless and doesn't like the fact that they are poor and living in a town where they were once respected. Ethan's son wants to go on television and get rich quick, his adolescent daughter is too secretive for his liking. Steinbeck's protagonist, Ethan Allen Hawley, is a moral individual who has always done the right thing. This novel is set in New Baytown, a fictitious town near Long Island, a town that operates within a realm of corruption. Yet things have operated that way for so long that no one remembers that it is corrupt anymore. Ethan's family feels that he is too ethical for his own good. He has to choose between his current morals and adapting the definition of his morality. Steinbeck captures a nation that is growing economically but bankrupt morally. Where this novel differs from other fall from grace novels is that the central character observes himself as a third party and slides down the slippery slope knowing full well the consequences. Steinbeck offers redemption in the form or Marullo, on being deported he gives the grocery store to Ethan Hawley. This happens just when Ethan is about to rob the bank. A short novel worthy of praise addresses moral questions that really make you stop and think; the dialogue is brilliant.The characters are clever and witty, but at times I found the plot was very slow. Nayeli, the Taqueria worker of Urrea's fine new novel (after The Hummingbird's Daughter ), is a young woman in the poor but tight-knit coastal Mexican town of Tres Camarones who spends her days serving tacos and helping her feisty aunt Irma get elected as the town's first female mayor. Abandoned by her father who headed north for work years before, Nayeli is hit with the realization that her hometown is all but abandoned by men, leaving it at the mercy of drug gangsters. So Nayeli hatches an elaborate scheme inspired by The Magnificent Seven: with three friends, she heads north to find seven Mexican men and smuggle them back into Mexico to protect the town. What she discovers along the way, of course, surprises her. 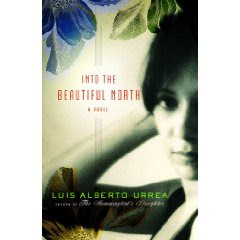 Urrea's poetic sensibility and journalistic eye for detail in painting the Mexican landscape and sociological complexities create vivid, memorable scenes. Though the Spanglish can be tough for the uninitiated to detangle, the colorful characters, strong narrative and humor carry this surprisingly uplifting and very human story. p. 161....."The dissolution of a marriage in Korea was no trifling matter, and in most cases it was initiated by the husband's parents. A wife could be expelled from marriage for one of 'seven evils' : adultery, thievery, jealousy, insolence toward her in-laws, failure to produce a son, a mortal disease, or excessive talkativeness". I am really enjoying this book and looking forward to posting my review once I finish it. In Aravind Adiga's debut novel The White Tiger: A Novel (Man Booker Prize) , Winner of the 2008 Booker Prize, we meet narrator and protagonist Balram Halwai, an intelligent man who was born into poverty. The novel is told in the form of letters from Balram written to the premier of China who is to visit India. When Balram was a young school boy, he was the only one his age who could read and write. He was identified as the “White Tiger”, the rarest creature in the jungle. He was promised a scholarship because of his abilities but he was unable to continue his education, and instead he was forced to take a job as a cleaner to help out his family. Balram eventually rises from poverty and he becomes a driver for a wealthy businessman in Delhi. He also acquires his own fleet of cars and we learn how he was able to rise out of poverty. He tells how in order to change ones caste, one must learn how to listen very closely (eavesdrop), and even be willing to do other deplorable things as well. I have to admit I was somewhat disappointed in this story. I found the main character unlikable, he seemed unable to feel any sort of remorse for the terrible things he did. His wealthy boss and his wife treated people horribly and did not take responsibility for their actions. One thing that did shine through for me in this story was the great divide between the classes in India, but then I did not need to read this particular book to learn about something I already knew. In summary I feel that this is one of those books where opinions will differ greatly. I am not sorry that I read the book, but it was easy for me to move on and forget about it after turning the final page. I have read all of Jodi Picoult’s books, and admittedly most I have loved, but some I did not care for. My least favorites were a few of her earlier books: Songs of the Humpback Whale, and Picture Perfect. 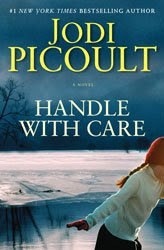 My favorites were My Sister’s Keeper and now Handle with Care: A Novel ; gets added to my favorites list. I really enjoyed this controversial story. In this story the O’Keefe family is strained to the breaking point when their daughter, Willow, is born with OI, osteogenesis imperfect, or (brittle bone disease) which causes her bones to break easily ---even before she was born some of her bones were broken and on the day she was born (4) more breaks occurred. When the mother, Charlotte O’Keefe visits a lawyer on another matter the wheels of a “wrongful birth” lawsuit are set in motion. The defendant is her Obstetrician and best friend, Piper. Charlotte's motivation for the lawsuit, which will tear her family apart, is that she needs money to take proper care of her daughter. Charlotte is Willows the full time caregiver, and her husband is a police officer in New Hampshire, so the family is financially strapped. Her husband Sean opposes this lawsuit, and her older daughter suffers the emotional effects of this struggle as well. To win a malpractice suit such as this, the attorney must argue that had the obstetrician provided accurate information about the fetus sooner, the couple would have been able to decide whether or not to abort the fetus. Since this family is Catholic, answering that question will not be an easy thing to do. The story is told in the form of alternating narrators – all very believable. Handle with Care: A Novel , is a great, emotionally charged, extremely well researched book that captures the complexity of this story. Several reviewers seemed to feel that the ending was “infuriating or a cop-out”, but for me, I can understand the thought process, and to me, the ending was believable. I have only read (2) books by this author: Chasing the Dime and The Lincoln Lawyer (both enjoyable). 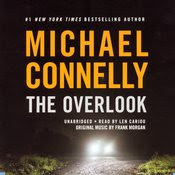 I needed a short audio book for a trip so I selected The Overlook part of the Harry Bosch series. In this story Harry Bosch is called out on a case when a murder victim is found at an overlook off Mulholland Drive. The victim is Dr. Stanley Kent, someone who had access to radioactive materials stored at hospitals throughout LA. The clues point toward a terrorist plot, and Harry Bosch must deal with the in-fighting of the FBI and Homeland Security. Once again Bosch must work with Rachel Walling, who he had a previous fling with, and it appears the sparks still fly. The book takes place over a twelve hour period, and Harry as usual, makes his share of enemies during his investigation. A short book, with a few twists but not much character development, it did make my drive go by quickly though. Hosted by Katrina at Callapidder Days. (Click on the link and follow the instructions to join in on the fun). Thanks so much for adding to the excitement of of the season Katrina. I am hoping to use this as an opportunity to focus on reading several of my review books and a few library books, I've been wanting to read. I've selected (15) books for this challenge which runs from (March 20 - June 20, 2009). 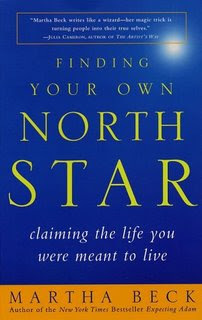 Finding Your Own North Star, by Martha Beck seemed like a perfect book for me for my Spiritually Speaking Challenge, and it has also been on my book shelf for a few years now. An insightful book with some thought-provoking exercises, designed to help you to explore your inner thoughts for true happiness. The goal of this book seems to be to help the reader to recognize their internal desires, and to leave behind boredom and discontent, heal old emotional wounds and to gain a whole new appreciation and zest for life, i.e. : “Finding Your Own North Star, and Leading the Life You Were Meant to Lead”. The book was formatted well, the exercises were fun. I wish I would have read this book years ago. I think books like this one could help some readers to make more suitable career choices.... ( like me and the 20 years I spent in Human Resources). (I am so thrilled to have received this ARC this week. I really love this author's writing). From the bestselling author of The Space Between Us comes an emotionally charged story of life, death, despair, and hope, and the lengths we will go to in the name of love. When Frank and Ellie Benton lose their only child, seven-year-old Benny, to a sudden illness, the perfect life they'd built is shattered. Filled with wrenching memories, their Ann Arbor home becomes unbearable and their marriage founders. But an unexpected job half a world away offers them an opportunity to start again. Life in Girbaug, India, holds promise-and peril-when Frank befriends Ramesh, a bright, curious boy who quickly becomes the focus of the grieving man's attentions. Haunted by memories of his dead son, Frank is consumed with making his family right-a quest that will lead him down an ever-darkening path that will have stark repercussions. 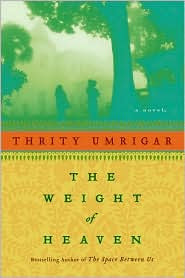 Glowing with vibrant realism, The Weight of Heaven is a rare glimpse of a family and a country struggling under pressures beyond their control. A devastating look at cultural clashes and divides, it is also a wonderful narrative that illuminates how we recover from unforgettable loss, how easily good intentions can turn evil, and how far a person will go to build a new world for those he loves. What is your pick this week? 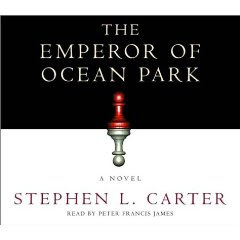 The Emperor of Ocean Park, by Stephen Carter was a pretty enjoyable audio book. The reader is excellent, and the story managed to hold my interest. If I had a criticism it would be that the story seemed to take a while to get moving, but once it did it was a great story to listen to. Judge Oliver Garland is a brilliant conservative judge from Ocean Park, a black community on Martha’s Vineyard. His nomination to the Supreme Court was denied because of his business connections to an unsavory character. Feeling dejected, humiliated and bitter, he turns to alcohol and is later found dead of what appears to be a heart attack. The judge’s son Talcott, a professor at Yale believes that his father’s death may have resulted from something sinister. Could he have possibly been murdered? Talcott is determined to uncover the truth even if it means risking his career. When a few more men turn up dead, Talcott follows some clues left by his father which open up secrets to his father’s past. The Emperor of Ocean Park is an entertaining thriller that gives you a glimpse of different class structures, family secrets, murder, and a justice system that has gone wrong. The Piano Teacher: A Novel , by Janice Y. K. Lee was a very different read for me. For this one I had both the printed version and the audio version, as I found certain parts of the book a bit difficult to follow. I was not sure I would like this book, but in the end, I thought it was an enjoyable debut novel. As the story begins in 1952, we meet Claire Pendleton who just arrived in Hong Kong with her older husband, Martin. Claire has been hired by The Chens, a prominent family, to teach their daughter Locket to play the piano. Claire is invited to an elegant cocktail party where she meets Will Truesdale, the Chen family chauffeur. Claire is immediately attracted to Will, and before long the two begin a torrid affair. The story then goes back and forth to pre and post WWII, covering the years 1941 – 1953, As the story unfolds bit by bit, long buried secrets are revealed, including the story surrounding Will’s love affair in the early 40’s with Trudy, a beautiful socialite. The story, however, is much more than a love story about one man and two different women. It is a story that turns tragic and we see how every choice one makes has a consequence associated with it. I did not find the characters in this story to be very likable, but they were well-developed. To me, they were self absorbed, cruel, judgmental and scheming. The writing however, was excellent, and I loved how the story unfolded, culminating with a shocker of an ending. The Piano Teacher: A Novel is recommended for anyone enjoying historical fiction. After a frustrating weekend and three days without telephone or internet service, I am happy to report the internet is working, but not the phones: 8 technicians, numerous calls on our cell phone, but the mystery of the outage remains.....still a mystery???? 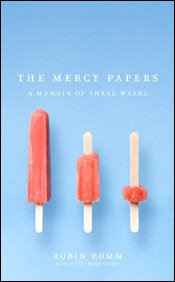 The Mercy Papers: A Memoir of Three Weeks, by Robin Romm was sent to me by Simon & Schuster’s Advisory Board. I was thrilled to receive this memoir even though the subject is a tough one: Robin Romm's mother’s 9 year battle with cancer. I felt I might be able to relate to this one, especially since I cared for my own mom who died when I was in my 30’s from a short battle (just 11 weeks) with pancreatic cancer. I suspected that the title had something to do with forgiveness, or mercy in the traditional sense, but I was wrong, “Mercy” was the name of the author’s cattle dog. The memoir follows the last 3 weeks of Jackie Romm’s life after a 9 year battle with breast cancer. She died in 2004 at the still young age of just 56. The story however, is more than just a memoir about the last 3 weeks of life. It gives the reader a glimpse at the author’s childhood as well. It is a very angry memoir: anger about the cancer, 9 – years of struggle and suffering, leading up to her mother’s ultimate death. It is also about feelings: how a daughter felt cheated and short-changed by having to deal with losing her mother at a time when both of them should have been enjoying life. Robin was angry throughout most of this brief story (just 211 pages). I felt some of what she did and said was very selfish. At one point Robin tells her dying mother, “ I won’t be ok , I can’t imagine life without you” – talk about putting a guilt trip on a dying loved one. But then her mother utters a weak response letting her daughter know that she really does not need her permission to let go. Although many books have been written on this subject before, it is clear that not everyone deals with the loss of a loved one in the same way. Even though I could not relate to some of what the author experienced, I could relate to the sense of helplessness Robin felt, watching the suffering that her mother had to endure with her battle with cancer. This book is recommended for individuals dealing with the loss of a loved one.